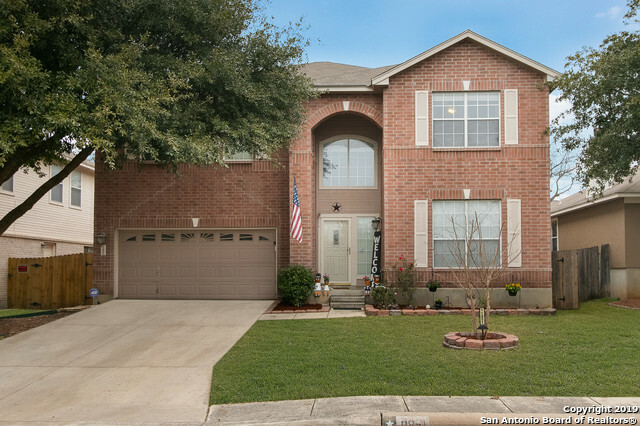 All WESTCREEK OAKS homes currently listed for sale in San Antonio as of 04/22/2019 are shown below. You can change the search criteria at any time by pressing the 'Change Search' button below. "Swimming Pool Two Story House Sited in Corner Lot, Brick Veneer al 4 sides, 4 bedrooms + studio/guest bedroom, fire place, breakfast bar, walking pantry, kitcken grantine countertops, 2nd floor loft, great size master bedroom with siting/office area, master bath includes standing shower, jacuzzi tub, double vanity, walking closets"
"Nicely maintained 2 story home located in West Creek Oak subdivision. This 4BR 2.5BA home has ceramic tile and carpet floors, 2 open living areas, separate dining area, tons of counter space and cabinets for storage, island kitchen with eat-in area, and breakfast bar along appliances. All bdrms upstairs, large master bdrm w/walk in closet, garden tub and stand up shower, double vanity. Covered patio with large yard surrounded by mature trees. 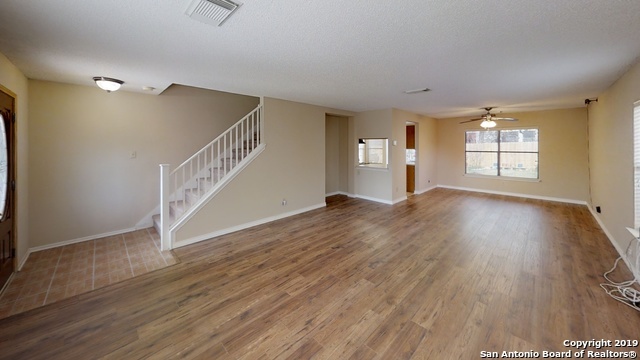 *New Water Heater in 2019 *Central AC was replaced in"
": Beautiful residence in Cul-de-Sac / Brand New Floors , New Paint , Move in Ready , Great Opportunity, Priced to Sell , **New Flooring ** No Carpet ** abundance of space , Open Floor Plan , Great Schools walking distance great Neighborhood , close to 1604 - 151"
"Welcome to Westcreek! This beautiful home has many windows providing tons of natural light! Prepare a feast in kitchen with granite counters. Get cozy in front of the fireplace with your favorite book. Relax in the spa like master bathroom. Enjoy evenings with friends on the patio or around the outdoor fire pit. Backyard with mature trees is perfect for gatherings! Solar Panels result in savings. Community pool/playground/tennis courts/dog park. Walking dist to elem. Near major hwys, shopping/en"